Yesterday, I attended a dance event where I watched one my clients revive a dancing career she left behind a decade ago. She was INCREDIBLE!!!!!!!!!! I knew how much the moment meant to her – and today, I’m still over Mars, Jupiter, and Neptune happy for and proud of her. As I watched her, it got me thinking. As a result, we go through life HOLE. Not WHOLE. My client’s dance piece was an uber inventive and creative representation of the barriers women face while climbing the corporate ladder or trying to get a foot in the door. Essentially, it was about hitting the glass ceiling. Today, my rock star client shattered a glass ceiling. It’s the best kind to shatter. Because when you do — ANYTHING is possible. You literally spring out of the darkness and into the light. If you resonate with this post, I have great news for you. If my client did it, it means you can too. Is there a longing in your life that you’ve cast aside? What’s holding you back? What if that barrier didn’t even exist? What if it was impossible to even think about it? What would you do? 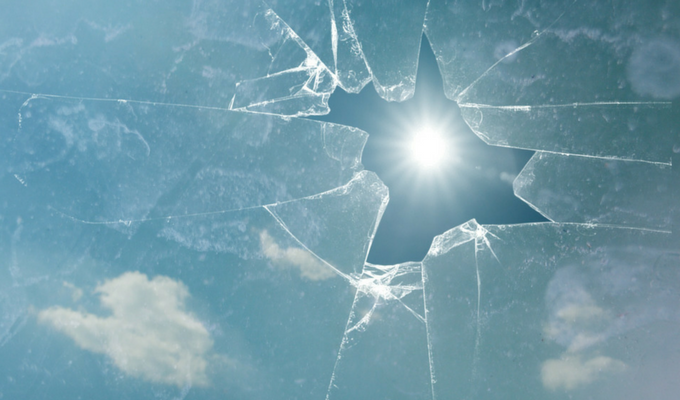 What’s one little step you could take today to even put a little crack in your inner glass ceiling?